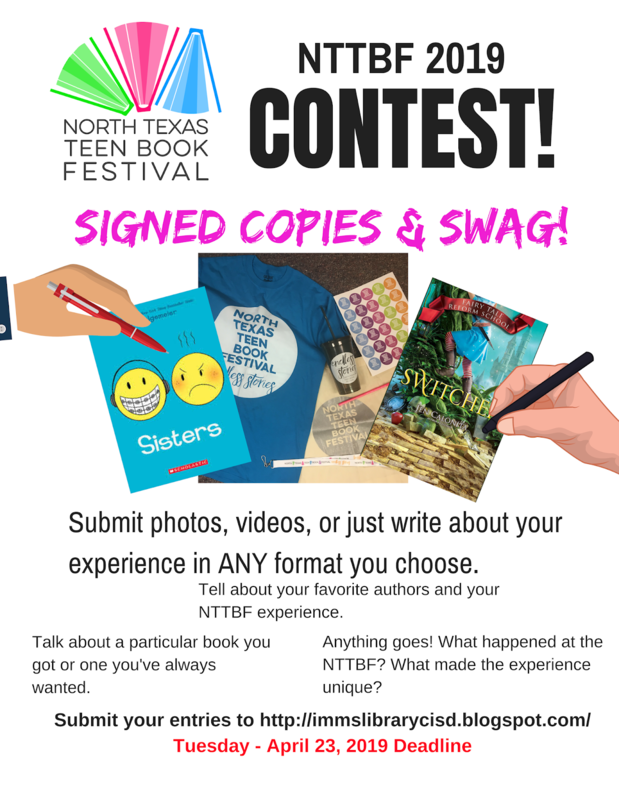 North Texas Teen Book Festival Attendees, this is where you upload your content (pictures, videos, thoughts about your experience. Anything goes! Prizes awarded April 23, 2019 so enter today. Blind Date with a Book starts at IMMS this week. We have a limited number of 'date' books available so you are limited to one blind date book while supplies last. 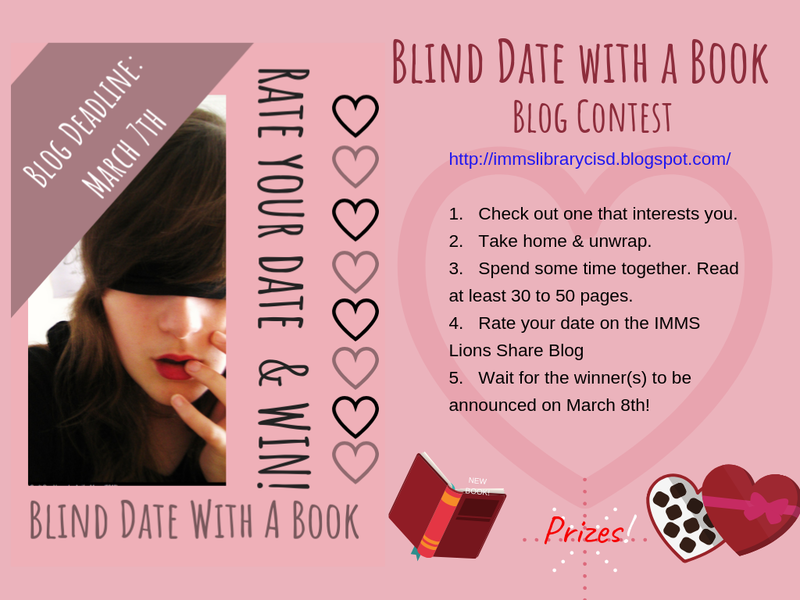 If you like reading and are willing to try out something new Blind Date with a Book might be for you! You should be committed to read at least 30 pages- hopefully the whole book if you like it - and be willing to blog about it. When you blog, give the title of your book, the author (example: Steelheart by Brandon Sanderson), how many hearts you would rate it (worst -1 to 5-best) 💗 💗💗💗💗and why you rated it that way. Be sure to post either your name or first and last initial. The winner of the contest will receive a large box of chocolates, a new book and a stuffed animal. Everyone who enters will receive a sweet treat. Deadline to enter is March 7th. Winners will be announced via Canvas on March 8th!